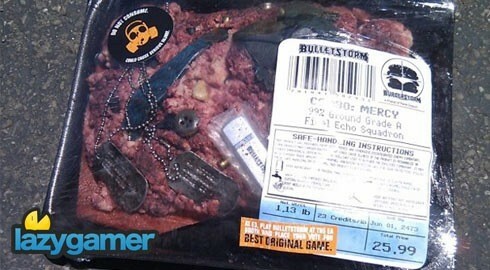 Bulletstorm’s first DLC package has arrived boasting a fair amount of goodies for your hard earned bucks. This particular collection entitled â€œGun Sonataâ€ includes 2 new Echoes maps, three new Anarchy maps and a few other shiny bits in the form leash variations and trophies/achievements (250 gamerscore). Personally, I am in no particular rush to get into this DLC. I’m not sure why, but it might have something to do with the fact that the multiplayer just did not appeal to me on the same level that the single player campaign did. Undoubtedly a DLC package containing 5 additional maps for 800MS points/ $10.00 seems like decent value for money, only Bulletstorm is not a conventional FPS, and these are not all multiplayer maps. Thus, my question has to be, is Bulletstorm the kind of game you finish and put on your shelf or does this game have long term capabilities at the rate that it is going now? More importantly, is the DLC intriguing enough for you to spend this kind of money on considering what this package has to offer? Next article Shift 2 : Unleashed winners announced…again!